This series marks the fifth consecutive season Western and Kennesaw have met, with the Cats owning a 11-5 overall record against the Owls. Coming into this mid week game, KSU won their series over USC Upstate this past weekend. winning two of the three games. The Cats split last season's meetings with Kennesaw State, as both teams won on their home field. Western won the home portion of this year's series in Cullowhee back on March 18th, by a final score of 5-4. The Cats handed the Citadel Bulldogs a loss to open this year's series between the two teams, 7-2. Both teams gave up 8 hits, but the dogs were only able to put across two runs. BJ Nobles (3-0) picked up the win for Western, while the Bulldog's ace, James Reeves (4-1) who pitched for 6.2 innings, give up 7 hits and all 7 runs and was charged with the loss. The win improves WCU's record to 10-12 overall and 2-2 in SoCon action while the Bulldogs drop to 14-10 overall and 0-1 in conference play. In a SoCon scheduling quirk, The Citadel (14-9) will be playing at Hennon Stadium for the third straight year. The Cats are 22-13 against the Bulldogs in the regular season since 2002, when the Citadel won their last series in Cullowhee. On the flip side however, the Bulldogs have defeated Western six of eight times in the SoCon Tournament over the same peroid. Western leads the 140-game all-time series, 78-62,which includes a 42-22 record of games played in Cullowhee. The Cats have won the last seven series over Bulldogs in Cullowhee, winning 16 of the 20 games. Picked in a tie for seventh by the league's head coaches, the Bulldogs enter the game with a 14-9 overall record, while this series tips off their conference play. As the preseason favorite in the Southern Conference, Western Carolina entered the weekend series with UNCG confident the winning streak against the Spartans would remain in tack. However, the UNCG baseball team had other ideas, with a 17-2 victory that opened the series on Friday, then winning the rubber match on Sunday, 7-4. The series win by the Spartans was their first for UNCG over the Cats since they swept Western in Greensboro during the 2011 campaign. Head women's basketball coach Karen Middleton will not return to the WCU basketball program, Athletics Director Randy Eaton announced today. Assistant coach Willie Freeman, will be retained at least until a new head coach is hired. "I want to thank Karen for all of the hard work she and her staff did representing Western Carolina over the last six years," said Eaton. "She consistently recruited quality young ladies and always placed emphasis on the `student' in the student-athletes she brought to our campus." Eaton also added that a national search for the next head women's basketball coach will begin immediately. During Middleton's six seasons in Cullowhee, the Catamounts compiled a 63-121 (.342) record, which includes a 35-77 (.313) conference record. On the positive side, under Middleton's tenure, four Catamounts earned SoCon All-Freshman team honors and three earned All-SoCon honors. WCU twice had an Academic All-District III selection and the Catamount squads twice garnered national academic recognition from the Women's Basketball Coaches Association (WBCA) with its academic top 25 ranking. For the third-straight season, Western Carolina and UNCG will play each other to open their conference schedule. The weekend series first pitch is scheduled for Friday at 6 p.m., then on Saturday, the second game is scheduled for 2 p.m. Sunday’s finale is scheduled for a 1 p.m. first pitch. UNCG enters the season's series with the Cats, 7-11 overall after splitting a pair of midweek games against NC State. The Spartans beat the Wolfpack 7-3 in Greensboro, before dropping the second game to NCSU 8-3 in Raleigh. Western sweep the Spartans in the previous two visits to Greensboro and have won six straight over the Spartans. The Cats leads the overall series between the schools by a 29-28 margin, as the Spartans last won a game against Western back on March 25,2012. Each game will be streamed for free in HD via the SoCon Digital Network. The Cats won a closely contested game over the Owls in the front end of a home-and-home midweek series with Kennesaw State Wednesday night by a final score of 5-4. The teams totaled three lead changes and one tie in the course of nine innings, as a total of 11 different pitches took the mound between the two clubs throughout the game –including five pitchers for the Cats. Kennesaw State travels to Cullowhee for a nonconference game at Hennon Stadium on Wednesday, March 18th. 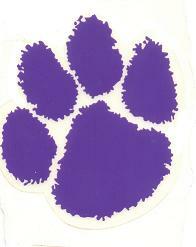 Spring Football Practice starts this week for the Catamounts. Practice in full pads won't start until Saturday, March 21st. This year, two scrimmages are scheduled, as well as the Spring Game on April 18th. Visitors are welcome at each practice session. The Cats split a double header today in the Liberty Invitational held in Lynchburg, VA at the Liberty Baseball Stadium. 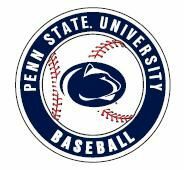 A two-run fourth inning proved to be the difference, as Western Carolina defeated Penn State, 4-2, in the first game of the Liberty Baseball Invitational. WCU starter Bryan Sammons increased his record to 2-2, as Penn State's Nick Hedge dropped to 0-3. In the second game of the day, the Cats fell to host Liberty, as right-hander Parker Bean pitched his first complete game of the year. The Cats made their first hit and lone run of the game in the seventh. Center fielder Bradley Strong led off the inning with the Catamounts' first hit, a single, and advanced to third on a one-out single by right fielder Kramer Ferrell. Third baseman Reece Strong followed with a sacrifice fly for what proved to be the final score of 5-1. Western Carolina starting pitcher Colton Davis falls to 0-2, as the Flames' Bean ups his record to 2-1 on the season. The Cats final game of the Invitational is scheduled for Saturday, against Liberty at 4:00 pm. Catamount Baseball this weekend. Three games are scheduled in Lynchburg, a double header on Friday, then one game Saturday. Friday's double header starts with a game against Penn State, then follows up with Liberty. On Saturday, the Cats play a single game Liberty again. Fri., March 13 - vs. Penn State, 11:30 am & at Liberty, 3:30 pm - in Lynchburg, Va. Both Liberty games can be viewed on ESPN3 and you can listen to all the action on the Catamount Sports Network, online at CatamountSports.com. Presbyterian College baseball earned a decisive 5-1 victory over the Catamounts at the PC Baseball Complex in Clinton on Tuesday afternoon. The Cats drop to 6-7 on the season, while PC improves to 13-4.
of 3 errors while the Blue Hose finished the game error free. PC drew first blood in the second inning for a 1-0 lead as B.J. Nobles tried to pick off a Blue Hose runner for the second out of the inning but his throw missed the mark and allowed a run to come home for a 1-0, PC lead. The Cats then tied the game on a two-out single in the top of the fourth. In the bottom of the sixth, three walks loaded the bases for the Blue Hose. Then with two outs, the Cats threw what could have been an inning-ending pitch to second, however the throw went wide, allowing two Blue Hose runs to come in for the 3-1 lead. PC struck again in the bottom of the seventh for two runs, upping the final score to 5-1, Blue Hose. The second day of the SoCon Men's Basketball Tournament has now been completed and six teams have gone home. Wofford's Spencer Collins scored 21 points as top-seeded, and defending champion Wofford beat UNCG, 70-52 in the Southern Conference tournament first quarterfinals game on Saturday. Western's James Sinclair poured in 30 points with a career-high 14 rebounds as the #4 seed Western Carolina held off fifth-seeded ETSU, 67-61 in the second quarterfinal\game of the Southern Conference tournament. Furman's Stephen Croone and Geoff Beans combined to shoot 11 of 12 at the free throw line in the final minute, as the #10 seeded Paladins pulled off the tournaments biggest upset, in beating the #2 seed Chattanooga, 69-67 in the third Southern Conference tournament quarterfinal game of the day. Mercer's T.J. Hallice scored a career-high 19 points to lead the #3 seed Bears to a 89-61 win over sixth-seeded VMI in the final quarterfinal game of the Southern Conference tournament. The SoCon Men's Basketball Tournament tipped off Friday night in Asheville with two games. Play continues Saturday with the quarterfinal games. UNCG's Diante Baldwin scored a career-high 19 points as the No. 8 seed Spartans held off ninth-seeded Samford, 81-76 in the first game of the Southern Conference tournament. The Spartans advance to face top-seeded Wofford in the quarterfinals on Saturday. The Paladin's Stephen Croone put up 27 points leading the #10-seed Furman to a 73-56 win over the #7-seed The Citadel at the Southern Conference tournament Friday night. The Paladins now advance to play Chattanooga in a quarterfinal game Saturday. On Friday evening, the SoCon Basketball Tournament tips off in Asheville at 6:00 pm. Four teams play for the right to meet the #1 and #2 seeds the following day. The winner of the UNCG/Samford game meets Wofford, while the winner of the Citadel/Furman game will meet Chattanooga on Saturday. What was the best Game of the Year?